Lots of awesome things to celebrate this week! In fact, so much that I’m going to have to do 2 posts to cover it all. 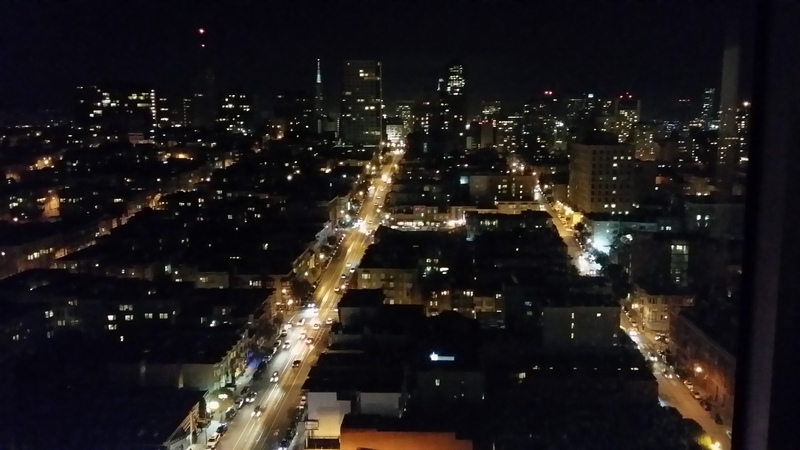 This weekend I made my first trip to San Francisco. Hubby had been there before, but it was when he was a child, so it was almost like his first trip as well. Unfortunately, we had just one night, but it definitely made an impression. So much to see and do! On Saturday, we drove up Highway 101, the famous Pacific Coast Highway. The weather ranged between 65 – 70 degrees with an occasional misting of rain and plenty of sunshine. I love a good road trip! We had previously only ventured as far as Morro Bay, so everything beyond that was new territory for us. The scenery delighted us with variety. We passed mountains so high that the tops were shrouded in clouds, some with what appeared to be jade colored rocks on the side. We passed miles and miles of neatly lined up vineyards and rich earthy-smelling farms. Who knew there is an Asparagus Capital of the World (Castroville) and a Garlic Capital of the World (Gilroy)? Even with the tremendous drought conditions that California is suffering from, there was an abundance of lush, green fields of who-knows-what-all, but I’m sure it was lots of good things to eat! Hubby and I think that there should be a law that says all fields should be labeled so we know what’s growing. We made it to San Francisco around 4 pm. 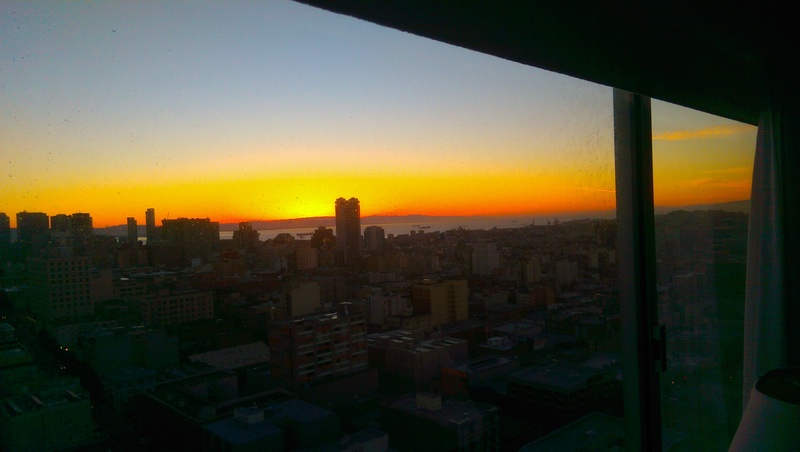 Our hosts very graciously made reservations for us in an amazing hotel room – on the 25th floor – in the middle of Nob Hill! It was a corner room, so we had two full walls of windows to look out onto San Francisco’s offerings. 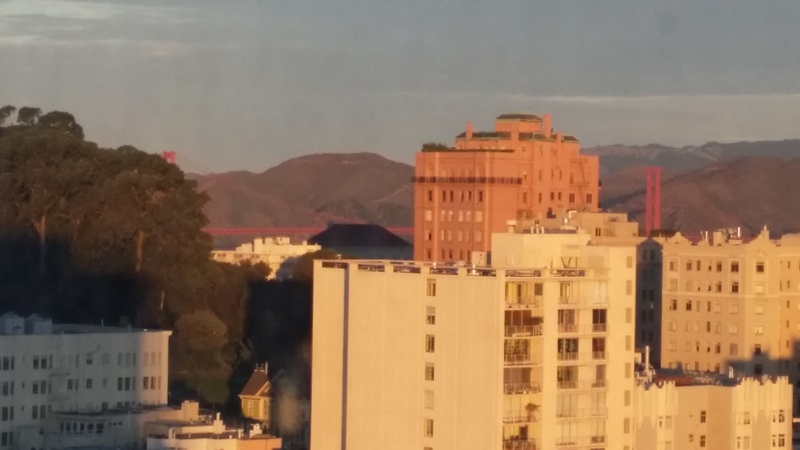 From one window, we had a view of Alcatraz and the Golden Gate Bridge. From the other window, we could see all the rest of the city. From all angles, we could see the Bay. You know we took lots of pictures – sundown, sunrise, middle of the night – it was all AWESOME! Everything I had heard about San Francisco seemed to be true. The roads were rollercoasters – up, down, wayyyyy up, wayyyy down. 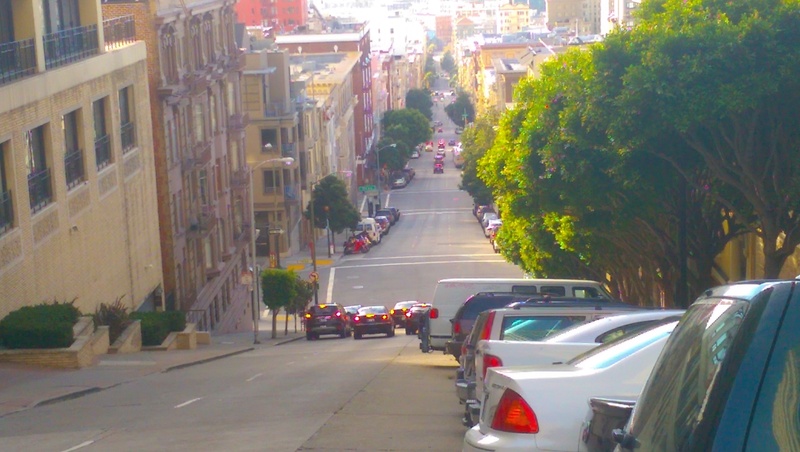 When visiting our hosts’ home, we had to park on a very steep street. Trying to get out of the car was an adventure in itself. I had to crawl up out of the passenger’s seat and hubby practically fell out of the driver’s seat. I swear I felt drunk just trying to walk across the sidewalk to the house! This doesn’t begin to show just how steep this really was!! Our hosts took us to their favorite restaurant in Chinatown. Unfortunately by the time we went to dinner, it was dark and I didn’t get to take any pictures. Chinese characters on signs everywhere, ducks hanging on hooks in windows, a riot of colors all around us – it was like walking inside a kaleidoscope. 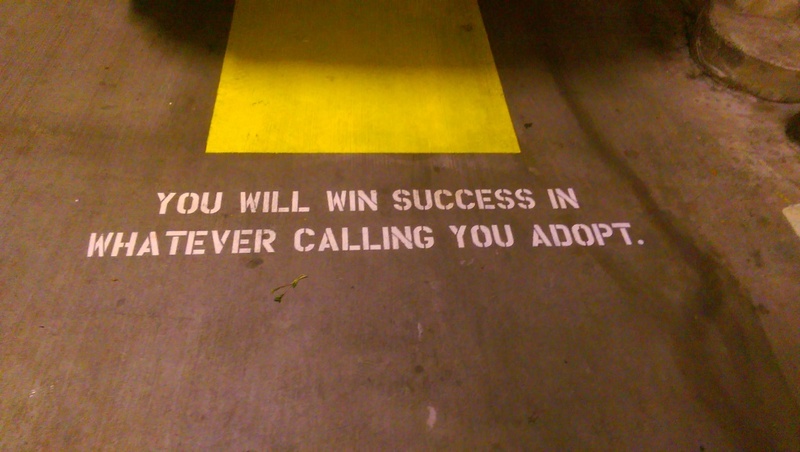 Even our parking spot gave us a “fortune!” It was a miracle that I didn’t fall over my feet as I was so busy trying to look at everything! Hope this fortune comes true! Dinner was a feast and dessert was a fun surprise. They told us that we were having fish for dessert. I was skeptical, but I really do try to be open-minded, so I was willing to give it a try. 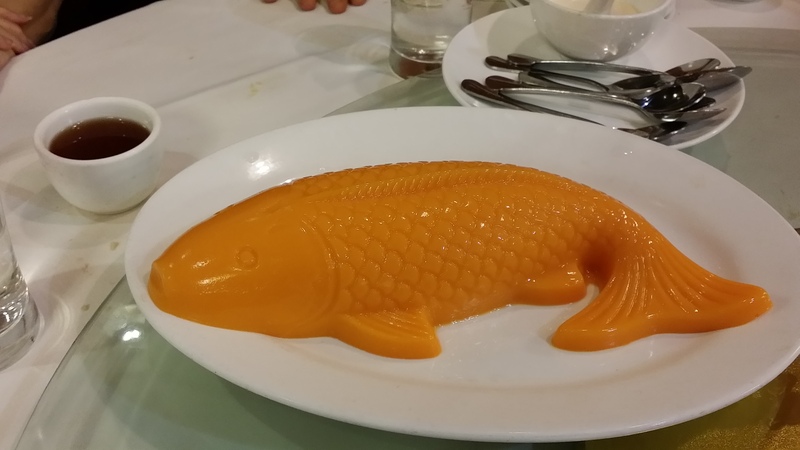 Here’s our Mango Fish! Yummy! In the morning, we had some time before we had to get on the road. We took a walk around town, just to see what we could see. 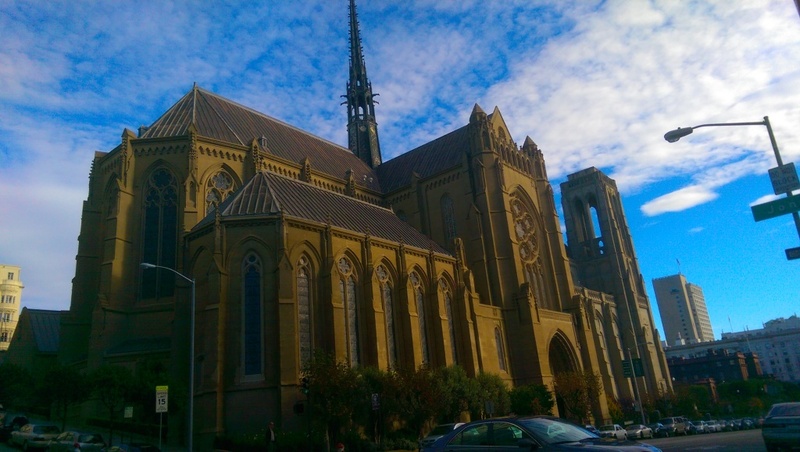 San Francisco is a great place for walking. Just the act of walking on those hilly streets is an aerobic workout; however, the abundance of coffee shops, bagel shops, donut shops, just so many delicious looking cafes would negate that effect for me! At one point, we stopped to look in the window of a donut shop and a young man standing behind us said “If you’ve never had the French Donut, you should!” What could I do? A local had made a point of recommending it, so I was forced to try the French Donut. He was so right! Delish! 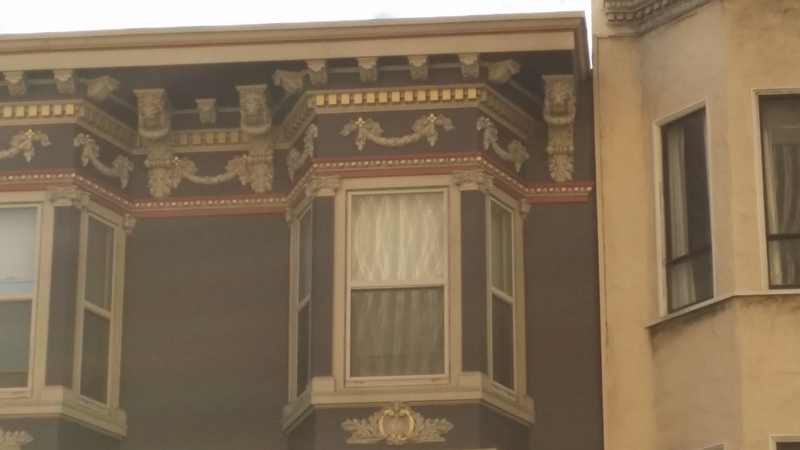 Another truth about San Francisco is the attention to architecture. Beautiful buildings surround us as we wandered the streets. Intricate details, lots of “gingerbread”, curlicues, and any number of other features that added up to the uniqueness of each and every building. Between that and the actual art that we found, it felt like we were walking in an outdoor art museum! 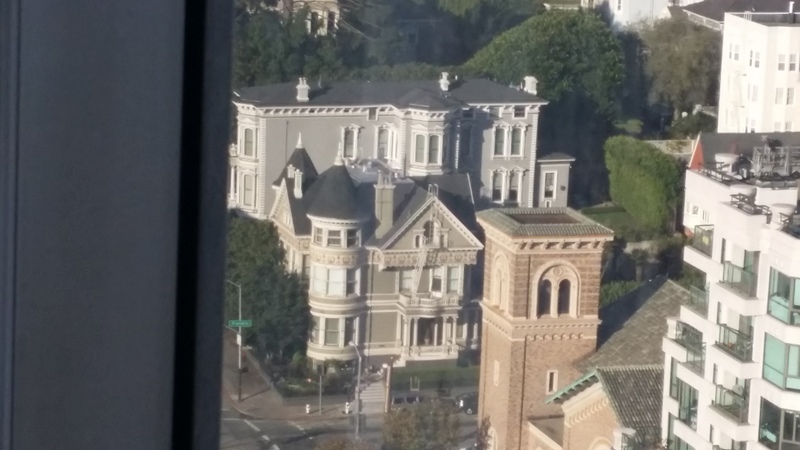 Another view from our window – lovely building! Way too soon, it was time to head home, but we had more adventures to look forward to this weekend. We decided that we would take Highway 1 home and follow the coast. And that is a story for another day! 2 Responses to Fish for Dessert? Yes, Please! I love this. Thank you! 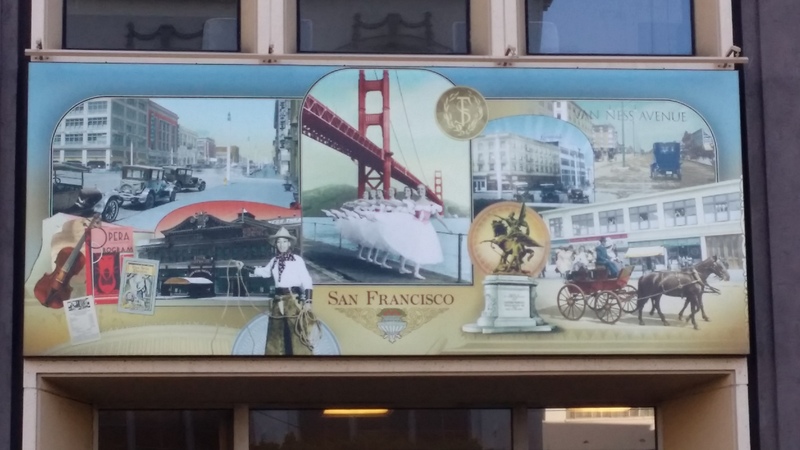 I have never been to San Francisco but enjoyed the info you posted, it’s very helpful. Glad you enjoyed it! Hope you had a fabulous Thanksgiving!